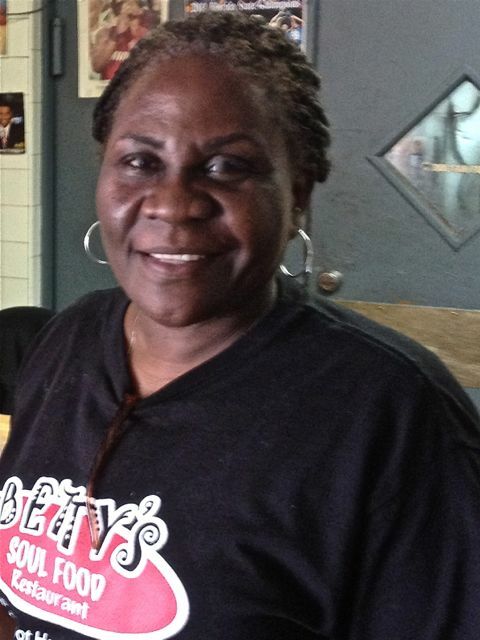 Betty’s is to Fort Lauderdale what Sylvia’s is to Harlem. And like that great New York soul food restaurant, people who know good Southern cooking in Fort Lauderdale must inevitably show up at Betty’s. I’ve heard about this place forever so after further recommendations from Clean Plate Charlie and an article from Jamie Long, both from New Times, I ventured out to try Betty’s with a foodie friend who knows Southern cooking. The place has thirteen tables and seven counter stools, all full when we arrived for lunch. I’m told Betty plays to a full house every day and for many good reasons. One would be for the Fried Chicken and that’s what I came for this day. “Hello there, I hear the chicken is good here” I said to the server. “Best you’ll ever have,” she answered confidently! With our orders placed, I continued to lust over the menu. It was difficult to pass up some of my other Southern favorites like Oxtail, Beef Ribs, Smothered Pork Chops, Chicken Livers and Fried Mullet. And then there was the stuff I always wanted to try like Pigs Tails, Ham Hocks, Neck Bones and Chitterlings. Oh my! …you must never leave me alone in this place or I’ll order it all! 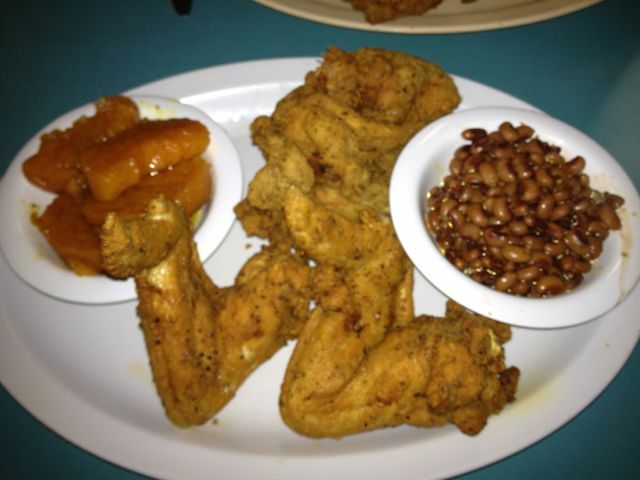 Regaining my composure I stuck to the plan, crispy Fried Chicken, with Candied Yams and Black-eyed Peas. The Chicken here is nothing short of amazing. Each order is prepared using Betty’s secret wet batter and fried up as needed, served hot and cooked perfectly. After a short while I had done such a good job of striping every morsel of meat off the bones they could have reassembled it as a science project. The sides of Yams and Peas were perfect for me, but next time I need to try the Mac N Cheese, Collards, Pigeon Peas & Rice, and Cabbage. Sadly I did not get to meet Betty on this trip, but I did chat with our server on the way out to tell her how much we enjoyed lunch, to which she replied with a big smile and a wink, “I told you it was the best you’d ever tasted!” I’ll be back soon Betty! 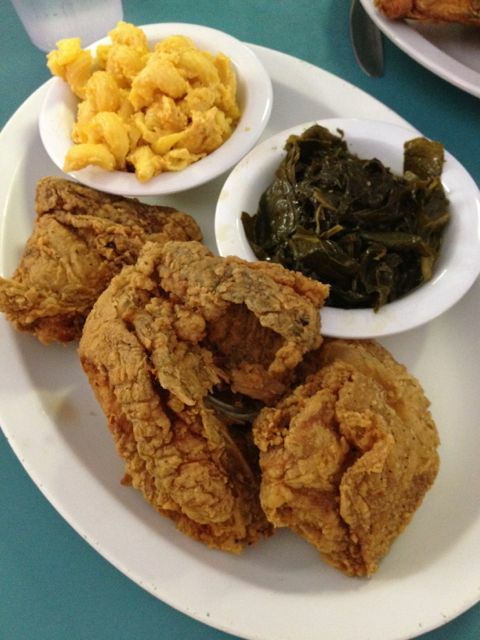 Update- March 26, 2012 – And back I did go recently for another helping of that really good Fried Chicken with Collards and Mac & Cheese this time. My dining companion had the same with the Fried Okra. Everyone in the place is genuine and happy to see you, even when we walked in after the normal lunch service. Regards to Connie, our server on this visit, a person who it seemed could be in many places at the same time. And finally, I did get to meet Betty. I thought she might scold me for not coming back sooner, as I had promised. Not so, but I’ll try not to let that happen again, I’ve got far too much to try! 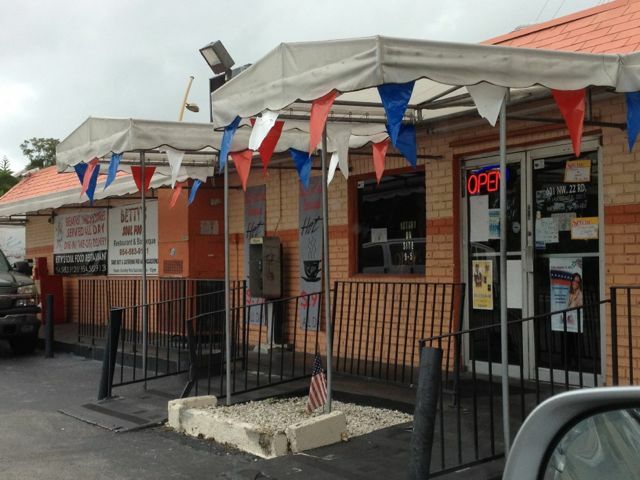 This entry was posted in American, BBQ, Broward County, Casual Dining, Inexpensive ($25 & below), Owner/Chef, Southern, Southern/Soul and tagged collards, fried chicken, Mac & Cheese, okra, ribs, soul, southern by alanEATS. Bookmark the permalink.